Bronx residents threatened by displacement demand stronger rent laws at a protest near Jerome Avenue hosted by Community Action for Safe Apartments (CASA). Photo by Jay Espy. The (artificially crafted) D.R. vs. P.R. feud has taken new form: Dominicans now outnumber Puerto Ricans in New York City. This is a startling fact considering that Puerto Ricans, already U.S. citizens, were the first Latinos to immigrate to New York en masse due to rapid deindustrialization and high unemployment imposed by the colonial U.S. empire on the island of Puerto Rico. But the trends are shifting, and Dominicans aren’t just moving to Washington Heights, which is home to the highest concentration of Dominicans in the world, after Santo Domingo. 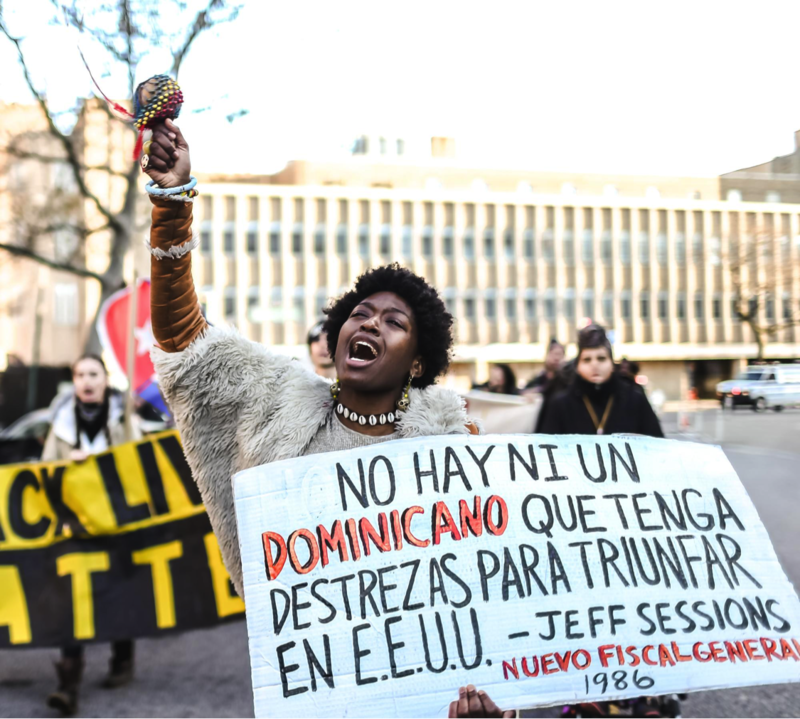 This record can possibly change, as a recent immigration surge and increasing gentrification has influenced 40% of New York’s Dominican population to reside in the Bronx. Coming to New York City is seen by many Dominicans as the way out of poverty and corruption in the homeland. Once they arrive, however, they begin to experience the harsh reality of being a “third world” immigrant, especially in the Bronx. The Bronx is burning again, and poor and working-class families are being displaced at an alarming rate. Yet this time the fires are green and when they burn, the police, not firefighters, are called in to finish the job. 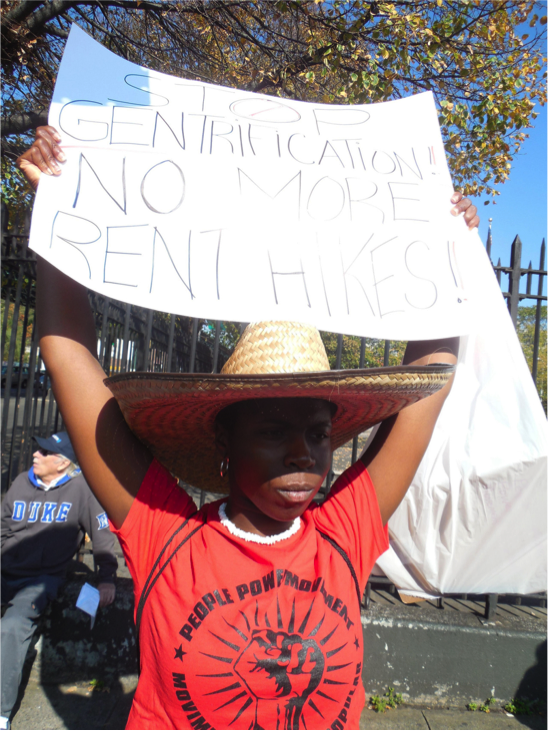 With gentrification sweeping urban America, the capitalist ruling class – bankers, landlords, developers, brokers, their paid politicians (Democrats and Republicans), and their protectors in blue – is taking advantage of a weak working-class, spreading beyond its central Manhattan stronghold and claiming victories in Brooklyn, western Queens, Harlem, Lower East Side, and Washington Heights. Mayor Bill de Blasio, a Democrat who’s romantically heralded by liberals as a progressive, is implementing a 10 Year Housing Plan which does more to reward greedy real estate interests than to help poor people live in truly affordable decent housing. 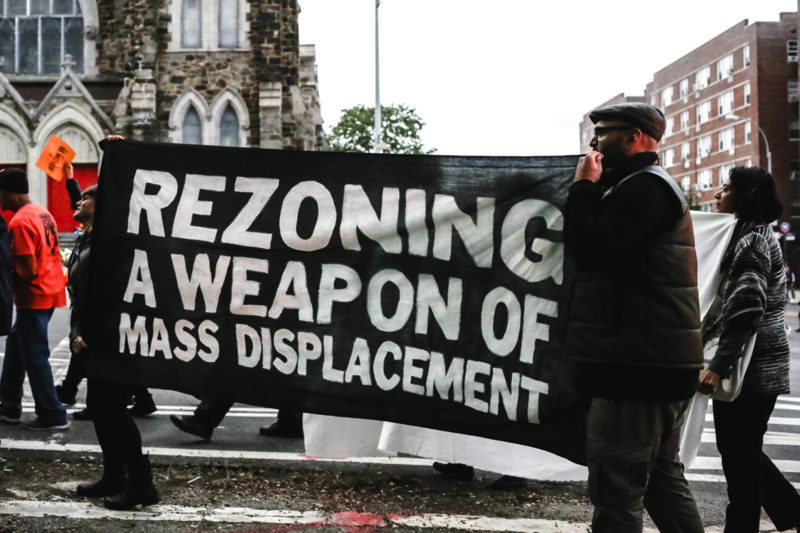 Bronx residents protest a Department of City Planning public hearing that proposed the rezoning of Bronx neighborhoods which allow for taller and more expensive housing development. Photo by Jay Espy. 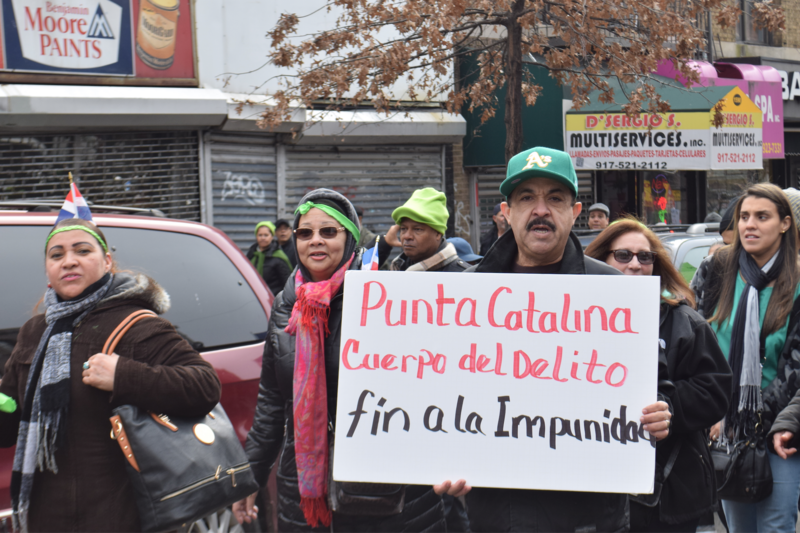 A major casualty that foreshadowed the beginning of the end was the 2015 eviction of Calientito, a Dominican and Puerto Rican restaurant in the South Bronx whose owners withheld rent in protest of their landlord’s attempts to “sabotage” them out of business. Supporters called it “the first victim of gentrification in Port Morris.” Working-class tenants up north also feel pinched. “If they destroy the buildings then we have to look for where to go. It will change your entire life. It won’t be the same,” laments Ramona, an auto-shop owner threatened by the mayor’s potential rezoning and redevelopment plans along Jerome Avenue. Reach up further and you will find many in the northwest Bronx preparing for the worst. Francheska Alcantara, for example, is a multi-media artist and community organizer who was born in the Dominican Republic and now lives in Kingsbridge Heights, a neighborhood that the New York Times calls “a neighborhood to watch” and that the real estate firm StreetEasy has predicted will be the “city’s hottest neighborhood in 2017.” Francheska told us that, “A new development of 75 ‘luxury apartments’ in my neighborhood has posted rents for studio apartments going for $1,865/month. This is in a neighborhood with incomes around $30,000.” That’s only 16 times the posted rent, in a city where almost all landlords require new tenants to make at least 40 times that. Ironically enough, this development in Kingsbridge is being pushed by Fernando Cabrera, a Democrat city council member who is, in fact, of Dominican-descent. With all that said, the Bronx still remains the last major viable refuge in New York City for working-class Dominicans. From 2007 to 2009, 40% of Latinxs who moved to the Bronx to escape rising Manhattan rents were Dominican. Since 1990, the number of Dominicans in New York state dropped 23% due to a combination of gentrification and a growing Dominican-American middle-class spreading to the suburbs. Call it the first Great Migration of the 21st century, as poor people worldwide, from Brazil to Seattle, are being forced out of the very same gentrifying neighborhoods that they helped to build and maintain. Emmanuel Pardilla (right), founder and member of the South Bronx Tenant Movement, marches with Bronx residents through Mott Haven against Donald Trump. Photo by Jay Espy. The South Bronx, a mostly Spanish-speaking working-class county, is notorious for having “the nation’s highest overall poverty rate (41 percent), the highest child poverty rate (53 percent), and the second-highest poverty rate for residents over 65 (33 percent)”. And rents, though lower than the city average, are still too damn high: “With more than 40 percent of households in the South, West, and North-Central Bronx spending more than half their incomes on rent, there’s precious little money left over for anything more than dollar-store consumption.” Due to a recent increase in redevelopment and capital investment, these numbers will keep rising. And now, with Donald Trump in the White House, Dominicans increasingly face the threat of deportation by a growing fascist U.S. government. “Fundamentally, almost no one coming from the Dominican Republic to the United States is coming here because they have a provable skill that would benefit us and that would indicate their likely success in our society,” says Attorney General Jeff Sessions, a man who fails to contribute any good to the world. Ironically enough, his comments are kinder than those spewed by racist, ultra-nationalist Dominicans who feel the same way about Haitians and Dominicans of Haitian/African-descent. Dominicans in the United States are now being treated like Haitians in the Dominican Republic. Karma is petty. 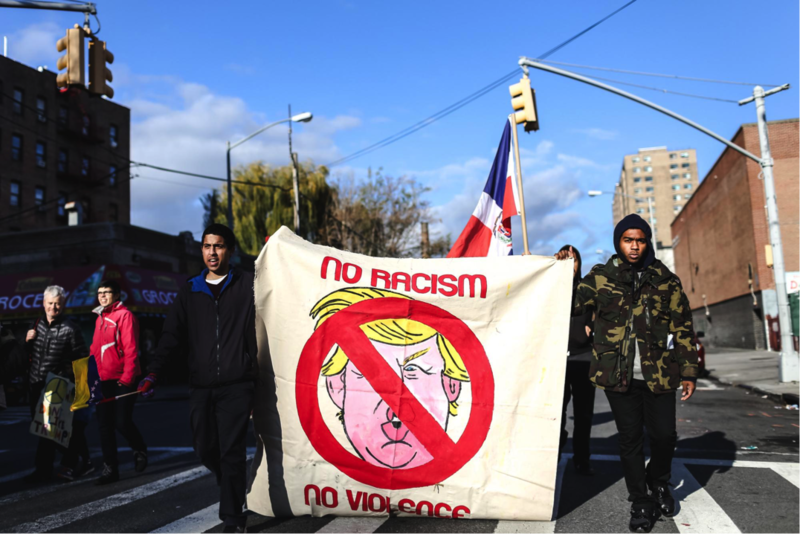 Bronx residents, like Dalaeja Foreman of the People Power Movement-Movimiento Poder Popular, march through Longwood in a protest against Donald Trump. Photo by Jay Espy. What is to be done? Francheska reminds us, “Our power is in our numbers. We have to speak-up and against the abuses from landlords, city officials and developers who want to cash-in our neighborhoods. We have to protest the raising rents, the need of repairs, lack of jobs, police brutality, inadequate schools and social services. 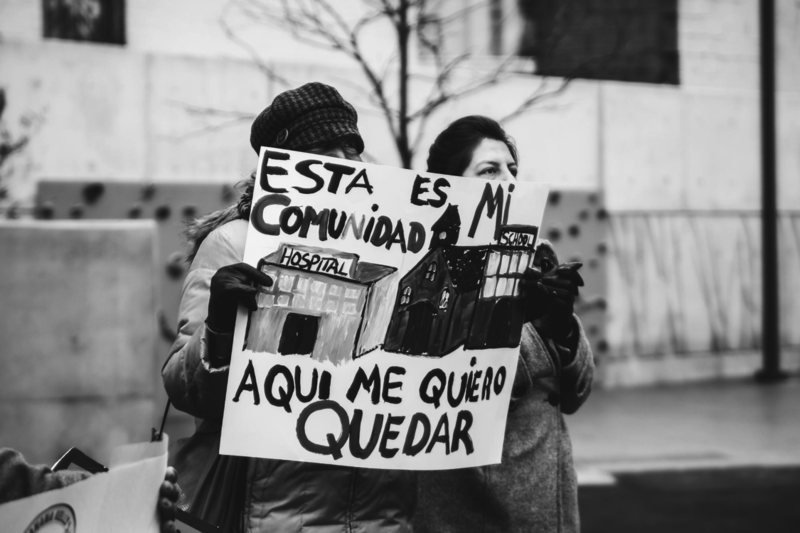 This takes form in organizing tenants associations and holding accountable our community boards and local politicians.” In order to do this effectively, Bronx Dominicans must learn to build with people across racial lines and develop a class consciousness that is necessary to defending their human right to decent housing. We must understand that the dialectic landlord/tenant relationship represents a class contradiction that can only be reconciled through a working-class revolutionary process in which tenants regain the power to own and control their housing and community, making landlords obsolete. Dominicans are not foreign to this idea. It is reminiscent of the Dominican struggle against U.S. imperialism in 1965, when Dominicans decided it was time to defend their right to self-determination and fight for a constitution, pushed forward by then-ousted President elect Juan Bosch, that prioritized public social services and aimed to equalize wealth and power in the country. Private U.S.-backed interests in the Dominican Republic obviously didn’t like that and were thus reinforced by a U.S. military that sent more troops to the island – 40,000 – than it had fighting the Vietnam War at the time.